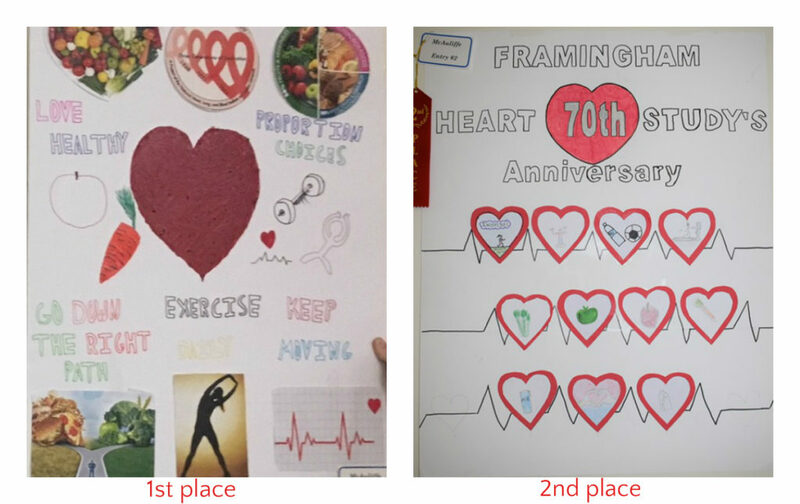 Earlier this month, The Framingham Heart Study kicked off their 70th anniversary celebration with a poster contest. Two winners were chosen from each of the Framingham Middle Schools. The first place prize was awarded to 6th grader, Ria D. Second place was awarded to King Crew 7th graders who collaborated on this poster: Nicolle D., Renee C.. Emerson D., Cam N., Emily M, Calebe A., Noah C., Christian O., Jordan S., and Victor R.
Kudos to all who entered the contest!